The University of California began on March 23, 1868, when California Gov. Henry Haight signed the Organic Act, setting in motion the audacious idea that California should have a great public university — one that would serve equally the children of immigrants and settlers, landowners and industrial barons. 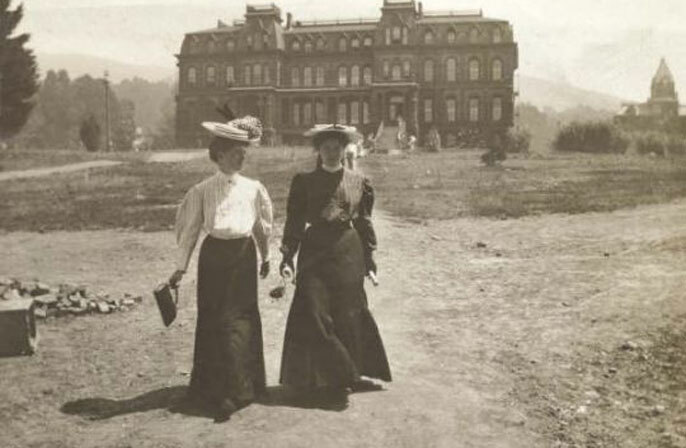 UC opened its doors a year later, with 40 students and 10 faculty members. In keeping with its egalitarian ideals, UC Regents in 1870 decreed that women would be admitted on the same basis as men — a step many Ivy League colleges did not take for nearly a century. 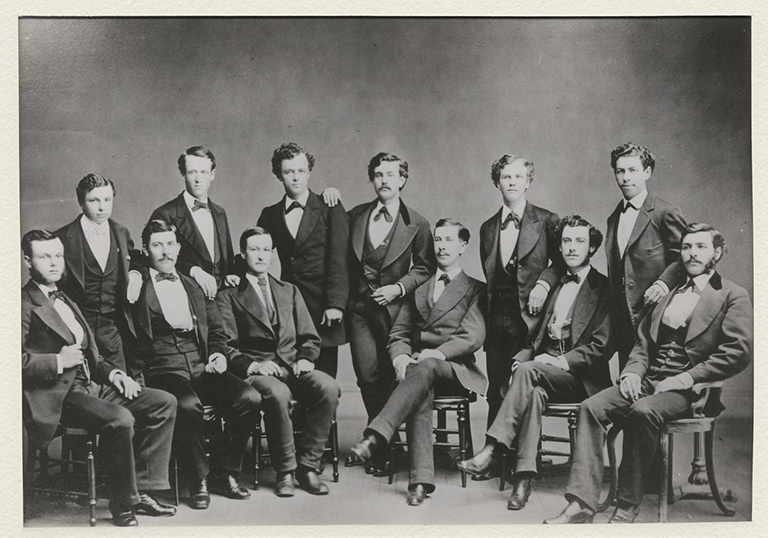 Its first graduating class — known as the 12 Apostles — included a future California governor, a U.S. congressman, a mayor, a bank president, two UC regents, a businessman, an attorney, an engineer, a math professor, a clergyman and a rancher. Today, UC has more than 1.8 million living alumni, having educated generations of Californians. It’s also been a wellspring for many of the bold ideas that have helped make the Golden State what it is today. The idea for this grand enterprise started much earlier. For more than a decade, with no resources for faculty, funding or land secured, that grand vision was little more than a lofty ideal. Then, in 1862 — in the throes of a bloody Civil War — President Abraham Lincoln signed into law an act that would make creation of the university possible. As the young nation fought for its very survival, he moved to create the institutions of higher learning he believed were necessary to secure democracy for future generations. 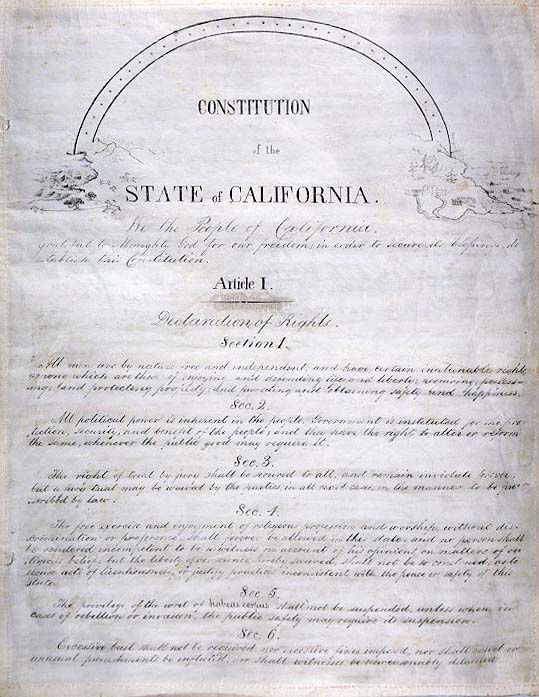 The Morrill Act called for donating land left over from the building of the Transcontinental Railroad to provide states with the funding to create institutions that would educate people from all walks of life and promote research on the cutting-edge of technology — at that time agriculture and the mechanical arts — while continuing to teach scientific and classical studies. The aim: create state-run universities that would educate the wealthy and low-income alike, so that everyone could benefit. The idea was revolutionary at the time. The Morrill Act’s proponents believed that democracy required an educated populace, UC Berkeley wildlife and forestry professor emeritus Reginald Barrett said. His great-great grandfather, Jonathan Baldwin Turner, was the leader of the movement behind the legislation. “He was absolutely convinced that our Constitution was the way to go, but he was very worried that unless the average person was educated and understood how to make decisions when it came to politics, it wasn’t going to work,” Barrett said. To gain support for his vision of public higher education, Turner went from house to house on horseback, meeting with then-candidate Lincoln, as well as Lincoln’s chief rival, U.S. Sen. Stephen Douglas. For years, the Morrill Act was vigorously opposed by Southern states, private colleges and those who believed the idea to be too utopian and too costly. But with the war raging and many of its most ardent opponents, in particular the Southern states, no longer participating in the debate, Lincoln was able to gain the support he needed. The Morrill Act was passed on July 2, 1862, giving birth to the land-grant colleges, which formed the foundation for today’s system of public higher education. With funds it received through the sale of its railroad lands, California was at last able to put the dream of its founders into motion. In 1866, the state established the Agricultural, Mining and Mechanical Arts College, but the new public college had no campus or buildings. Meanwhile, across town, another institution, the private College of California, had buildings in downtown Oakland and land for expansion in what would become Berkeley. But it was struggling to pay its bills. College of California founder Henry Durant sensed a match: He offered the land to the state in 1867 to create a public university. On March 23, 1868, Gov. Henry Haight signed the Organic Act, the charter that created the University of California. A year later, with 10 faculty members and 40 students, the new university opened the doors of its campus in downtown Oakland, with Durant as its first president. It moved to Berkeley five years later, under the university’s second president, Daniel Coit Gilman. Over the next several decades, the university grew, advancing research, technology and agricultural science in its classrooms and labs, and bringing that knowledge out into the community through county agricultural extension offices and other programs. Propelled by advances in technology and education, the California economy flourished, and its population and urban centers boomed. As the state grew, so did the idea of expanding the university. 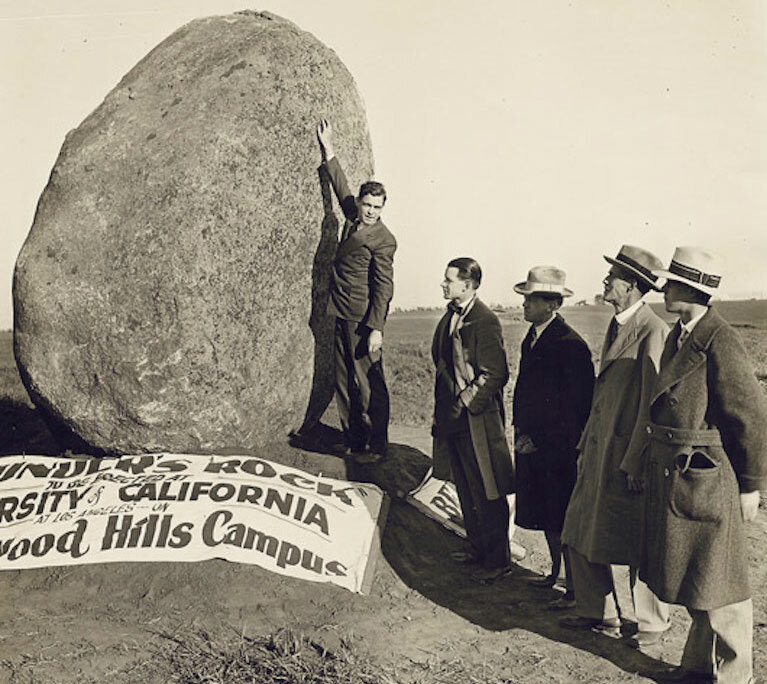 Founders’ Rock, a 75-ton granite boulder from Perris Valley, was installed in time for the Westwood (UCLA) campus site dedication in 1926. State and university leaders envisioned a multicampus system that would serve the needs of students and communities across a large and geographically diverse state. Over time, the University of California would grow to encompass 10 campuses, five medical centers and three national research labs, with community programs, health services, school partnerships and research offices that touch every corner of the state. Today, California has become the agricultural, technological and economic powerhouse of the nation, with an economy that is the sixth-largest in the world. And the public university that the state’s founders first envisioned has gone on to become the envy of the globe. True to its founding ideals, the university leads the nation in creating economic mobility, educating more first-generation and low-income college students than any other institution of its caliber — and more than the entire Ivy League combined. It has generated more than 60 Nobel Prizes and countless other honors and awards. It has created cures and uncovered galaxies. Its vast research enterprise spawns an average of five new inventions each day. In scholarship and science, in culture and technology, the bright minds at work on our campuses continue to push forward the boundaries of the possible. … This is the University of California. It is not the University of Berlin or of New Haven which we are to copy … It is ‘of the people and for the people,’ not in any low or unworthy sense, but in the highest and noblest relations to their intellectual and moral well-being.